Dragonfly nymph or naiad. It was about 1/2 inch (10 mm) long. Freshwater shrimp and another nymph. The shrimp was about 1 inch (25 mm) long, and the nymph was only about 1/4 inch long (6 mm). Dragonfly nymph or naiad. This one was about 3/4 of an inch (20 mm) long. One thing I have learned from my dragonfly field guide, is that the different species of dragonfly look different even in the nymph stage! (I don’t know why this surprises me, I wouldn’t expect all caterpillars to look the same.) 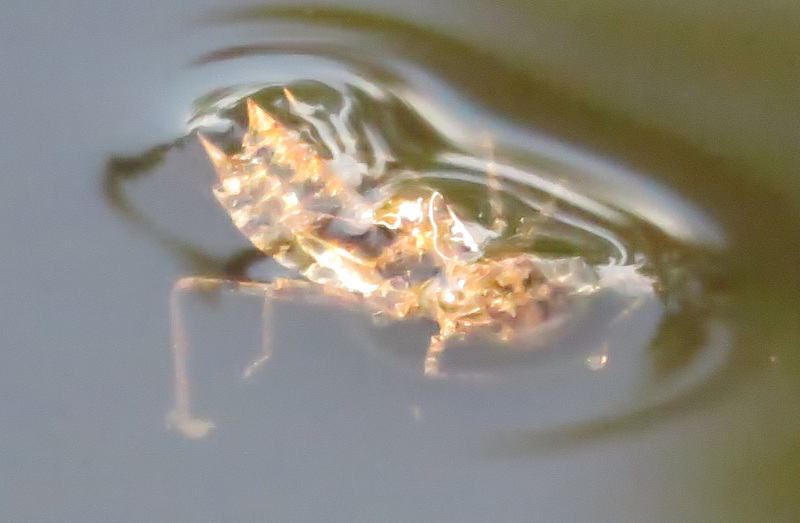 But I can feel sure it is a dragonfly, because even in their underwater life stages, the various kinds of larvae and nymphs have recognizable general shapes and features. 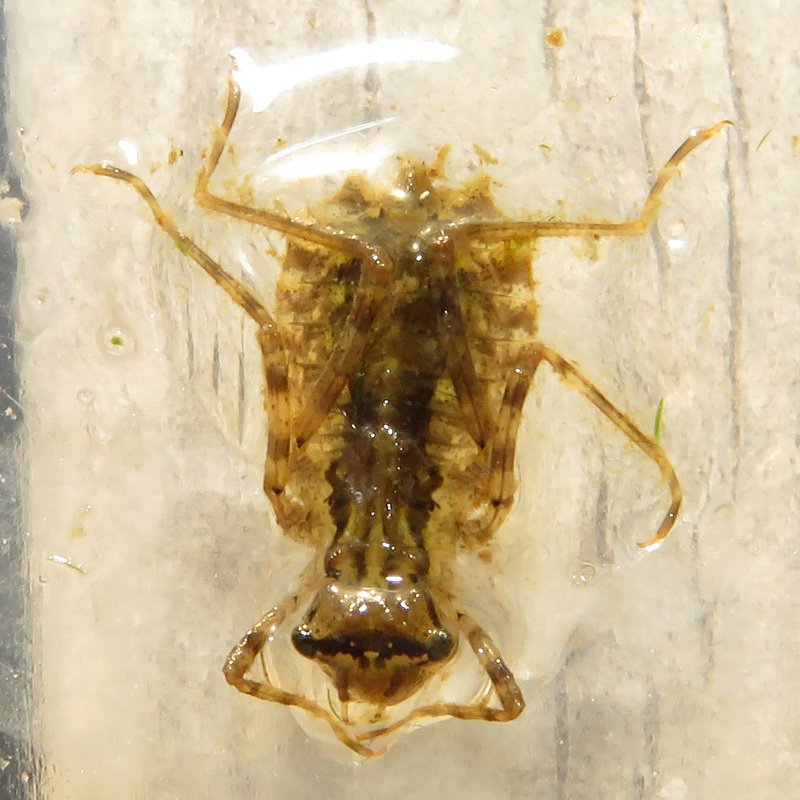 For example, dragonfly nymphs are robust, and don’t have tails; damselfly nymphs have three leaf-like tails that are really their gills! Here is a page that simplifies their features. Now so far we’ve looked at ones you can see with your naked eye, but see in more detail with the zoom on the camera. Back when I was a fifth-grade teacher and spring fever was getting to the kids, I would pull out the microscopes and let the kids explore the even smaller creatures we could find in puddle water. We were so fortunate as to have one microscope that connected to our computer and overhead TV, so we would put a little drop of puddle water on that one and let the volvox and stentor (stentors?) float peacefully in the screen while we worked on math and history. I wish I had known then about Nikon’s Microscopy U and their Small World photo competitions. Now, I love to look at these images both to learn something about science and to get artistic inspiration. a wild rice leaf, which has nothing to do with these pond creatures, but would make a fabulous quilt or rug design. That is a very nice story and I think of that kind of thing often. Metamorphosis is such a wonder to me!